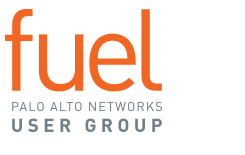 Fuel User Group is supported by a team of professionals whose #1 goal is delivering an amazing user experience for the entire Fuel community. Here’s a little bit about them. Favorite social media platform? 1. A bar stool. 2. Telephone. 3. LinkedIn. Guilty pleasure food? Anything with peanut butter. Piece of technology you can't live without? Is Keurig® a piece of technology? If so, Keurig. Favorite city you have visited? Lake Wanaka on the South Island of New Zealand. Star Wars or Star Trek? Star what? Guilty pleasure food? Pizza, but I don't feel guilty about it. Star Wars or Star Trek? Starbucks. Appetizers or desserts? Appetizers: The more cheese, the better. Guilty pleasure food? ALL of the French fries. Coffee or tea? Coffee, in IV form, please! Appetizers or desserts? Both, and skip the entrée. Star Wars or Star Trek? Star Wars! Morning person or night owl? Night owl. Favorite city you've visited? Santa Barbara. Morning person or night owl? 5 a.m. wake-ups are my jam. Piece of technology you can't live without? My phone. Sorry, I'm a millennial. Favorite city you have visited? Huatulco, Mexico is where your dreams come true. Morning person or night owl? Both! Though I struggle with the middle of the afternoon. Favorite city you have visited? Granada, Spain, has stolen my heart. Piece of technology you can't live without? Does my Spotify Premium account count? Coffee or tea? Coffee, every morning without fail. Favorite city you've visited? Seattle - there are so many beautiful areas around the city to explore. Star Wars or Star Trek? Star Wars - the opening theme gives me goosebumps every time. Morning person or night owl? Forced morning person. Favorite ice cream flavor? Mint chocolate chip. Favorite social media platform? Instagram. Where else can you express yourself so creatively, find inspiration, and be friends with the Rock? Favorite social media platform? Right now, Instagram. Favorite ice cream flavor? It depends, but I normally default to chocolate chip cookie dough or cookies and cream. Appetizers or desserts? Always desserts and they always need to have some form of chocolate included. Piece of technology you can't live without? My cell phone. Favorite city you have visited? New Orleans. Coffee or tea? Diet Coke®.